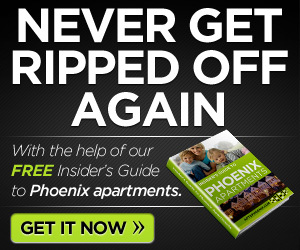 There are plenty of good reasons to look for apartments in and near Phoenix, Arizona. The cost of living is reasonable, the scenery is great, they have all four major pro sports; plus, there is no snow to shovel! 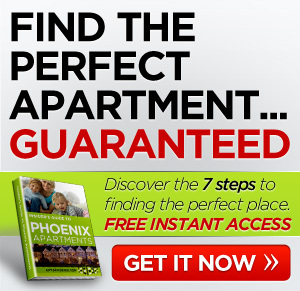 When choosing an apartment in Arizona, consider these cities that are within minutes of Phoenix. You’ll have just a bit of a commute if you work downtown, but these cities are safer and a little less hectic than the capital city. Glendale is known for its football frenzies and its festivals featuring family fun, culinary delights, and holiday splendor. One such festival is the Glendale Chocolate Affair which features 40 chocolate vendors. Imagine the gooey, sweet confections that await you. The historic downtown area has the charm of America’s southwest, complete with more than 90 specialty shops. Additionally, a number of terrific museums and art galleries beckon culture seekers. Chandler was recently designated a National Register Historic District and offers a unique collection of art galleries, shops and award-winning restaurants. Chandler boasts world-class golf facilities, Arizona resorts, and tons of fun family activities. Wild Horse Pass is a great place for family fun with stagecoach and train rides, gold panning, gunfights and more. Admission is free. Gilbert’s friendly atmosphere, excellent schools, and unmatched expansion have earned it national attention. Over the past 20 years, Gilbert was named one of the fastest growing cities in the country, the safest municipality in Arizona, and the 24th safest community in the United States. Business Week named them one of the best places to raise kids and CNN Money ranked the city as the 31st best place to live in 2010. So, if you’re looking for apartments and Phoenix is a little intimidating, or just a little too big a place, consider living outside of the busy capital. Most of the suburbs, like the ones listed here, are a little more expensive when it comes to rent prices, but they’re usually safer and a little more upscale. The other great thing about these cities is that they’re relatively close to downtown Phoenix, so your commute will be minimal.